Spoiler Warning: This review contains multiple spoilers for The Walking Dead Season 9, Episode 15 AND The Walking Dead Comic Issue 144. 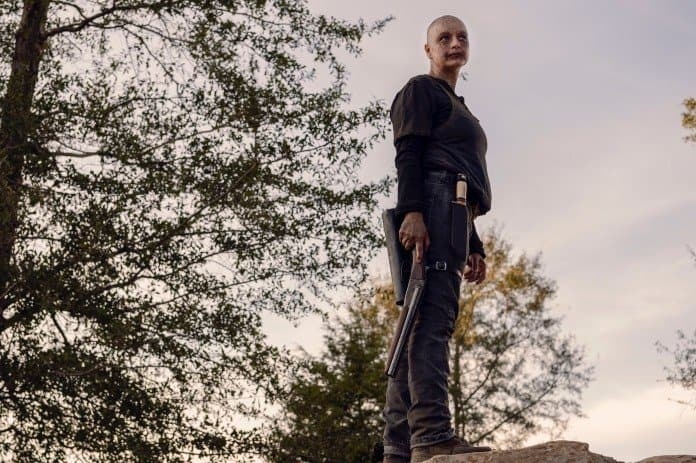 Please note that this episode review discusses Comic Issue 144, as comparison between the two Walking Dead universes is especially relevant to this episode of the television program. 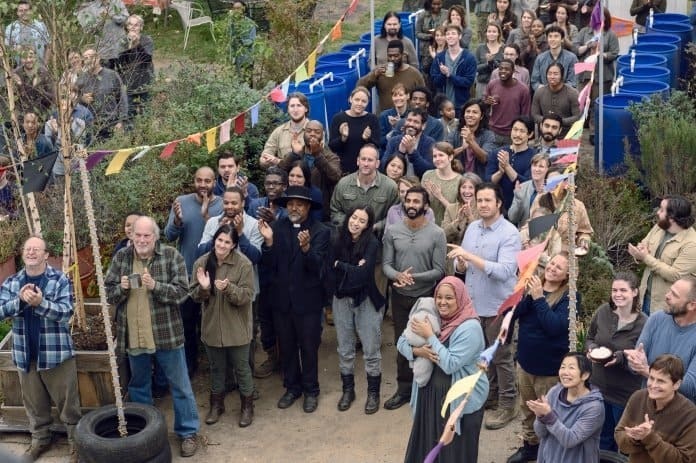 This episode began with happy people full of hope. That in itself should have been an ominous sign for any fan of The Walking Dead. Ezekiel welcomed everyone to the Kingdom, standing alongside the life-sized memorial to Shiva. Jerry played ‘horsie’ with his children and Judith (much to my delight). Henry was warmly welcomed home by his parents, and Enid declared that Alden was her boyfriend. Eugene and Rosita renewed their friendship. In typical shy, teenager fashion, Henry and Lydia admitted that they ‘liked’ each other. 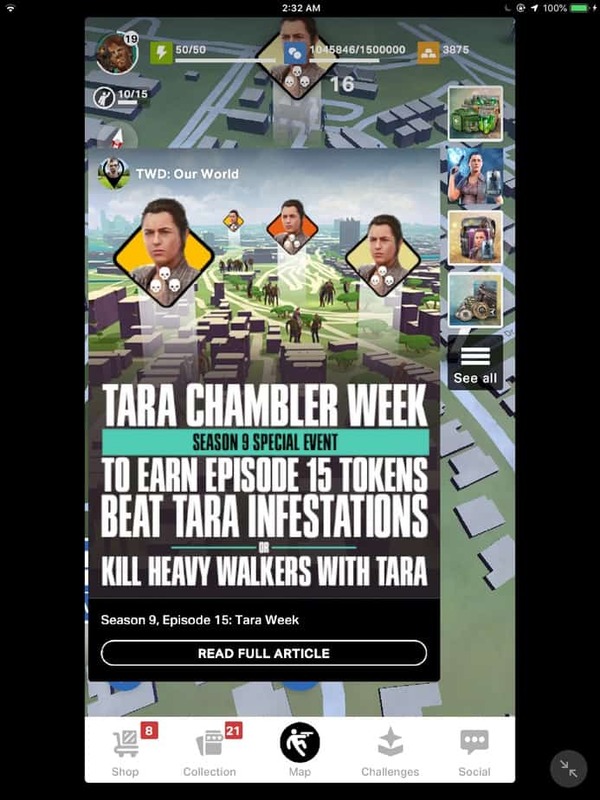 Tara was making plans for the communities to train together and defend each other. 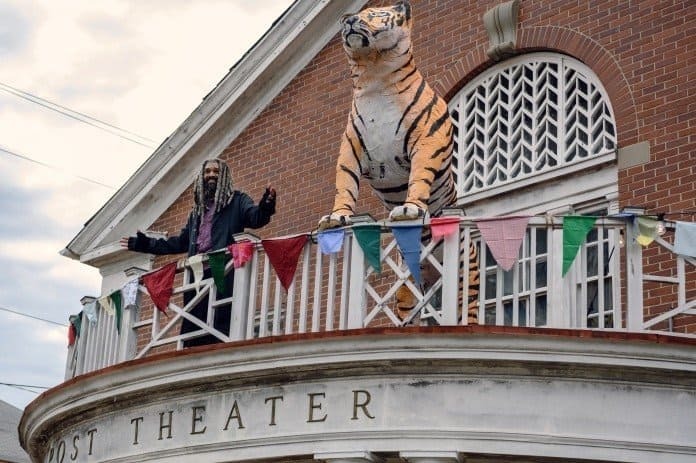 And to top it all off, the leaders of the four remaining communities (RIP Sanctuary) all signed the charter that Michonne had written years ago. The King even referenced the goals of Rick, Carl and Jesus, and how the communities were achieving that dream of peaceful unity. Of course, even early on in the episode, there were storm clouds on the horizon, starting with the murders of Miles and Hilde, the creator of the Hilltop coins. This only served to heighten the feeling that something was wrong, and viewers know the signs all too well. It was evident when a group of people left the fair in an attempt to protect Hilltop that something would go horribly awry. Alpha snuck into the fair in an attempt to rescue Lydia. The implication in her actions is that she was mostly gathering intelligence, and did not specifically intend to harm anyone. She only wanted to retrieve Lydia. But when Lydia refused to accompany her, something in Alpha broke. She was devastated to learn that her daughter resented her, enough to want to live without her, in a manner and culture contrary to everything Alpha believed. 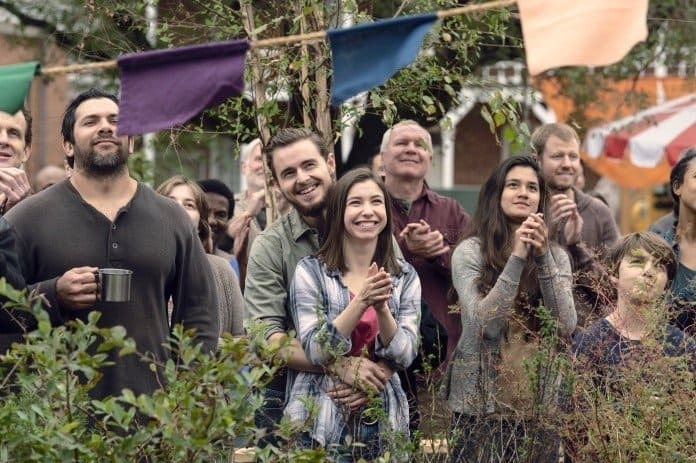 I think the breaking point for Lydia was when she witnessed Henry’s reunion with his parents, so different from Lydia’s reunion with Alpha when she was ‘rescued’ from Hilltop. Even so, Lydia had enough feeling for her mother to tell her simply to leave, to not scream and call the guards to capture Alpha. Yet being rebuffed, Alpha lashed out, calling Lydia a coward and saying that she was never ‘one of them’. That much is certainly true. It was obvious that Alpha’s anger would not stop there. While she may have captured some of the community members before confronting Lydia, I believe that she only made the decision as to what to do with them after her daughter’s rejection (which is why they were held together for so long, long enough to work together and fight back). 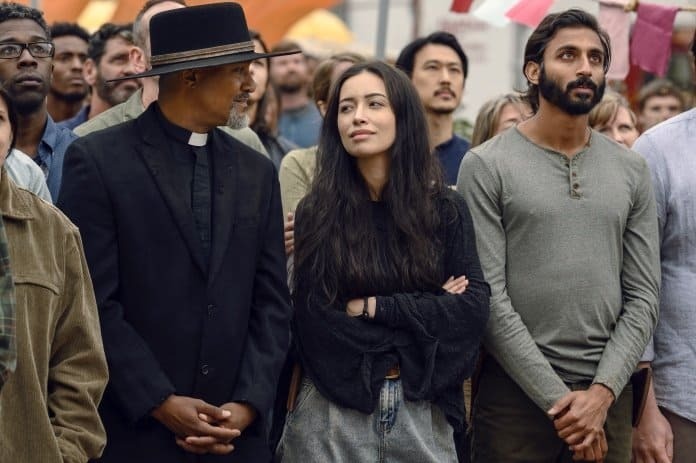 In the same way, while Lydia did not turn her mother in immediately, she apparently did not wait long before telling Ezekiel that Alpha had been present at the fair. While I understand the relationship between Lydia and Alpha in the television series, I personally felt that Alpha’s reasoning and motivations were much more relatable in the comics. In the comic universe, Lydia was suffering regular physical and sexual abuse living with the Whisperers, and Alpha condoned it. When Rick offered to take in Lydia, Alpha agreed to let her go because she knew that it was the best thing for her daughter. While she didn’t want to reveal her emotional weakness to her people, Alpha let Lydia go out of love. In contrast, in the television series, Alpha’s tears seem more for herself than for Lydia. She seems to be angry and sad that she failed as a mother/leader than because she truly wanted what was best for her daughter. There was no remorse when Lydia showed the scars on her arm, no sign that Alpha regretted any of the pain that Lydia had endured. This makes the character colder and less relatable. Perhaps this is what the showrunners of the television program intended. Another aspect of this coldness was the callous disregard for the lives of others. Alpha killed Miles, Hilde and their party simply so that she could wear Hilde’s clothes (and hair) to infiltrate the fair. 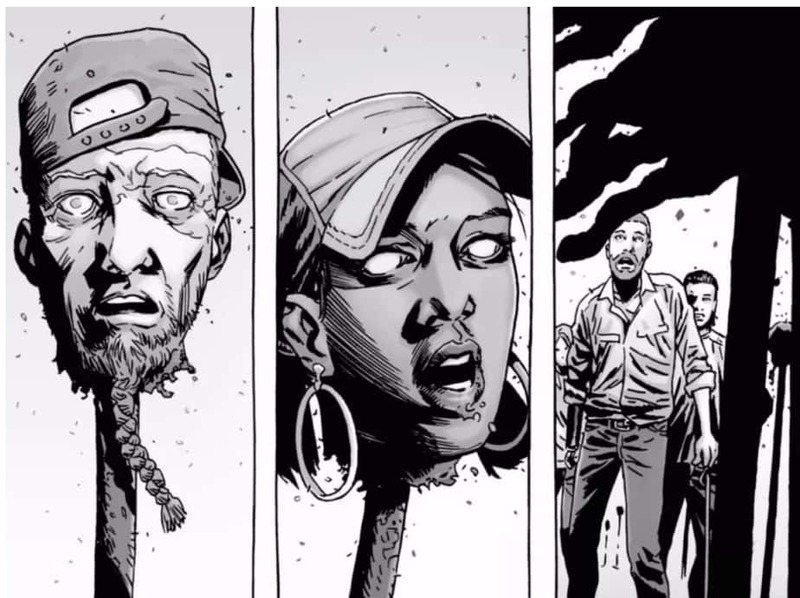 And Miles’ face found its way onto the head of a Whisperer, who then wore it when confronting Daryl, Carol, Michonne and Yumiko in the woods. The result of this cold, unfeeling outlook of the Whisperers is something that has long been anticipated by readers of the Walking Dead comics. Not since Negan’s brutal murder of Glenn has there been something so surprising and horrifying in the storyline. The row of victims marking the edge of Whisperer territory is chilling in its initial appearance, as well as when each new animated head is revealed. 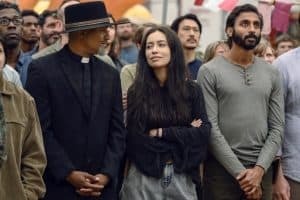 In the comics, just as in the television program, members of each of four different communities were represented on the row of stakes (including Sanctuary, but not Oceanside, in the comics). A couple of the victims, such as Tammy, were the same, or similar to those in the comics universe. But the more well-known victims were completely different. Comic readers were shocked to see Luke, a pregnant Rosita, and King Ezekiel adorning the spikes, and the showrunners of the television program knew that viewers would be expecting this. Unlike when they made the poor story choice of having Negan execute Glenn, this time they teased comics-knowledgable viewers, yet revealed a different result. 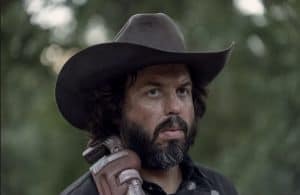 Viewers saw Alpha speaking with Ezekiel at the fair, highlighted Alpha scowling at Rosita and Eugene as they walked with an antenna (the Whisperers do not want the individual communities to be able to communicate, and the purpose of the antenna was evident). Most notably, Carol’s breakdown at the scene of the stakes, including Daryl comforting her, strongly implied that Ezekiel was one of the victims, right up until Henry’s face was revealed. I admit it; I was faked out, and pleased to have been misled. Kudos should go to the showrunners for keeping viewers on their toes and making this a shocking scene for everyone watching. However, the Whisperers’ victims, while distressing, were not truly devastating. The Highwaymen (RIP Ozzy the Pirate Highwayman), DJ, Frankie, and Hilltop teens Rodney and Addie, are not great losses overall for viewers. Tara and Enid, while characters who have been around for a while, are not people who truly had a significant impact on the overall storyline (Although who the heck is going to lead Hilltop now?). Henry’s death, while sad, is not really impactful, since his storyline in bringing Lydia into the fold was essentially complete. Additionally, the killing of Henry was a message from Alpha to Lydia. A few episodes ago, Alpha ordered Lydia to kill Henry, or she would have him killed herself. Now Alpha has made good on her threat. 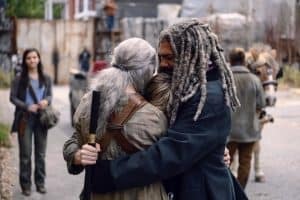 Even more, the scene of Daryl comforting Carol as she realizes that her child is dead is reminiscent of the scene way back in season 2, when Daryl was there for Carol as she saw Walker Sophia coming out of Herschel’s barn. From a plot standpoint, I was surprised to see this important turning point in the penultimate episode of the season. I had anticipated it coming at the end of the season finale. This leaves me to wonder how the showrunners can possibly end the season in a more explosive manner than this? We will have to wait and see next week. For comics readers, it was nice to see a hint of future plotlines to come, as Eugene began work on his radio. 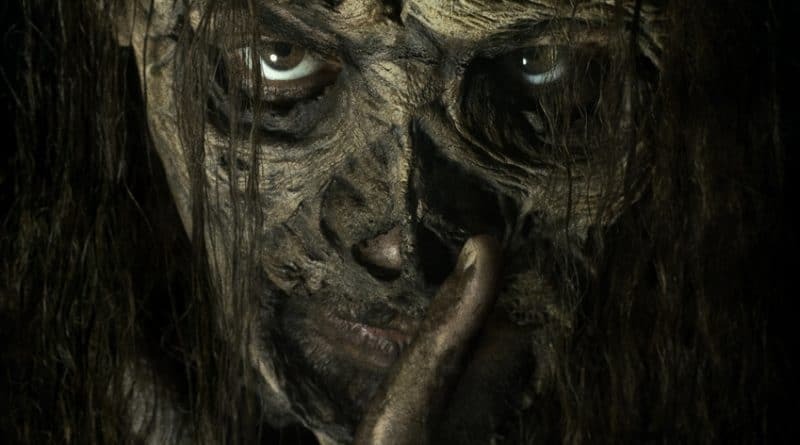 Another important aspect of this episode is that the name ‘Whisperers’ was first used in the television program itself, when Alpha named her people while talking to Daryl. Until this time, the name had come only from the comics universe. Yet this scene resulted in my biggest nitpick for the episode. Alpha was standing at the edge of the cliff, overlooking her ‘weapon of mass destruction’ herd, and Daryl had the perfect opportunity to push her over the edge. Perhaps, given that this tactic didn’t work with Beta, he simply dismissed it out of hand? Or was he just so horrified by all that had happened that he wasn’t thinking clearly? 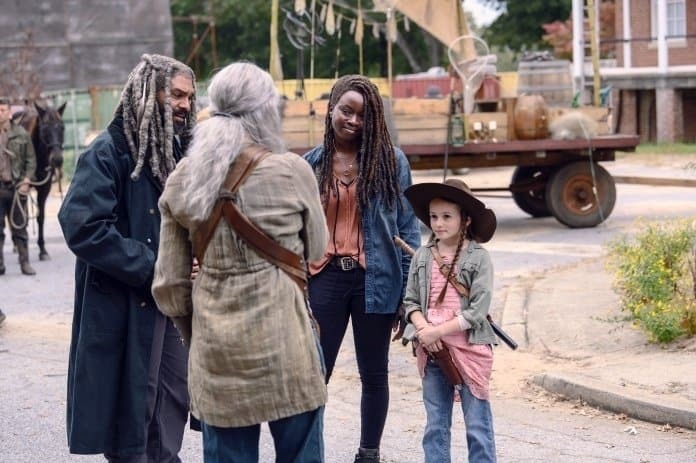 During the lighthearted beginning of the episode, there were a few notable humorous moments, particularly Jerry playing with the children, and Eugene telling Judith that she ‘couldn’t even dunk a donut’ before he was knocked down in the dunking booth. I was glad to see a few more laughs return to balance out the grimmer aspects of the storyline. It was also amusing to see the ‘winter is coming’ Game of Thrones reference. What’s next, white walkers? 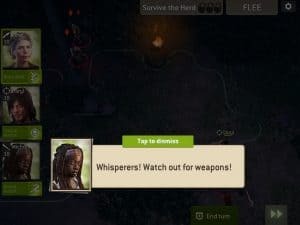 Alpha has drawn a literal line between the ‘civilized’ communities and the Whisperers, one that cannot be ignored. Yet the effect of that line will not be what the Whisperers expect. It is certain that there is more conflict to come between these two groups of survivors. The season finale is sure to be full of darkness and determination. Siddiq’s tale of what happened to the Whisperer victims is going to light a fire underneath the communities, who will want to protect themselves, and who may want vengeance. To whom will they turn to lead them? 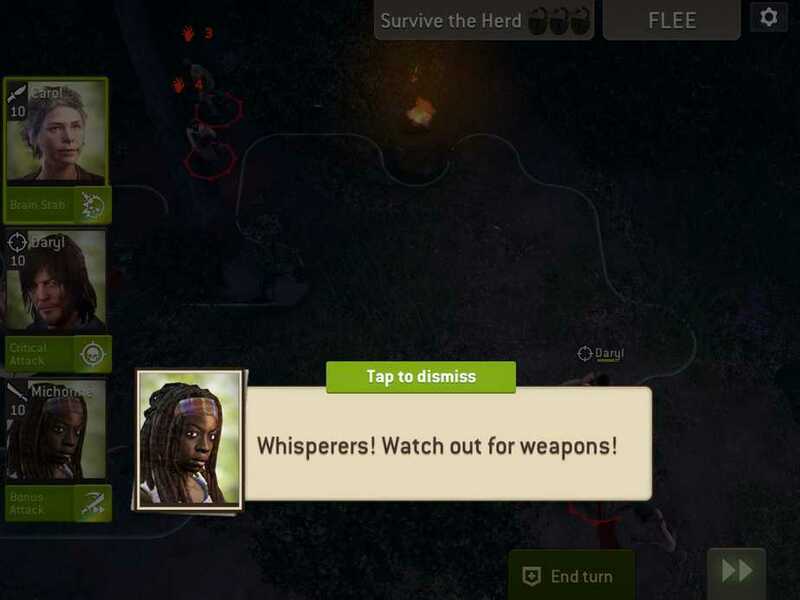 Are Michonne and Daryl really up to the task? 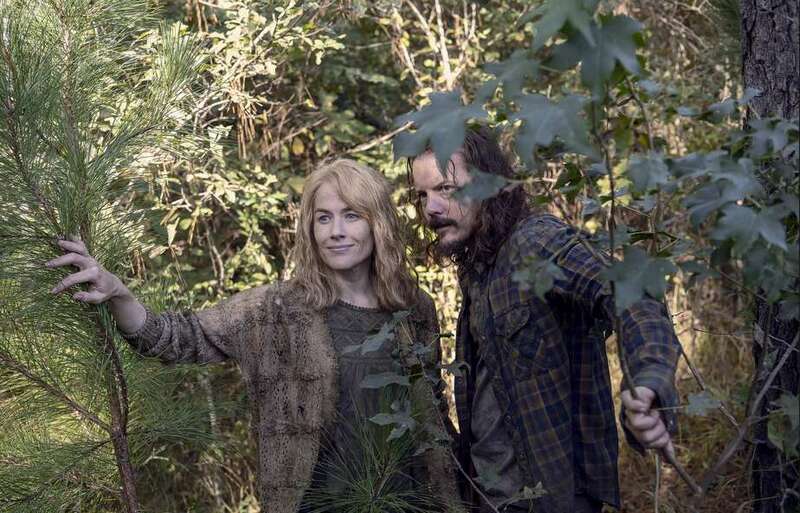 Ezekiel and Carol? Or perhaps Negan, who has led a group of people to war before? Will Magna, professing herself a Hilltopper, take over the defense of that town, or possibly all of the communities? Whatever happens, I am breathlessly waiting for next Sunday! 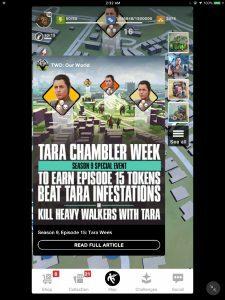 For those who play the AMC Walking Dead mobile games, this week’s Our World salute to ‘iconic heroes’ features Tara, while No Man’s Land’s season mission for this episode has Daryl, Michonne and Carol fighting walkers (and eventually Whisperers) in the forest.